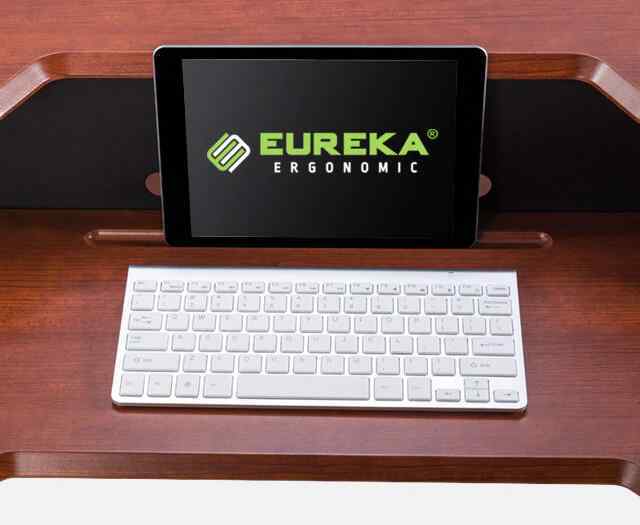 The Eureka Ergonomic® 31.5" Sit-Stand Desk has a very small desktop footprint. It can fit into most working environments with ease, where space is at a premium. 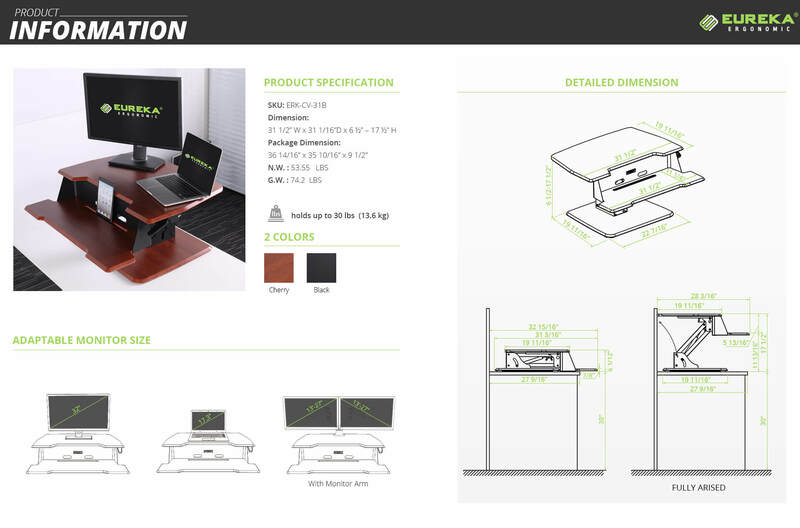 This spacious Two-tier desktop can accommodate your monitor(s), keyboard, mouse and other small objects. 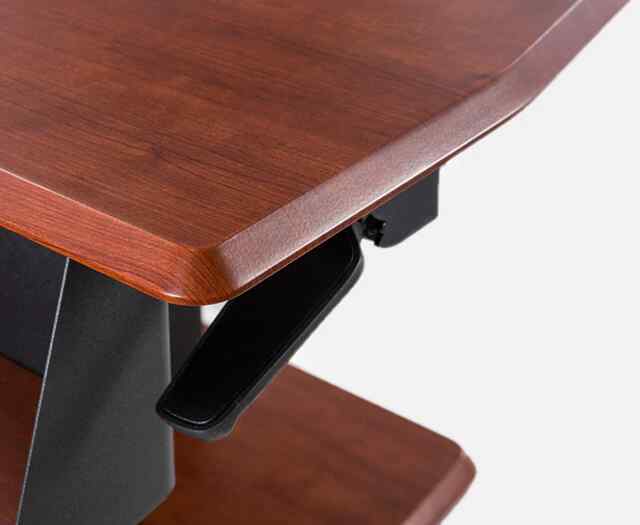 Simply squeeze the handle and your desk will raise up slightly. With the help of the patented gas strut mechanism, very little effort is needed to reach your desired height. 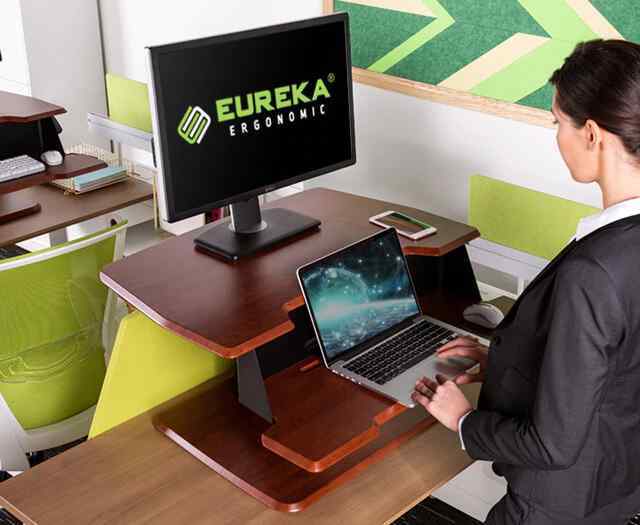 Anyone who uses a Eureka Ergonomic Standing Desk Converter can not deny the smooth and effortless operation that other standing desks can not offer. 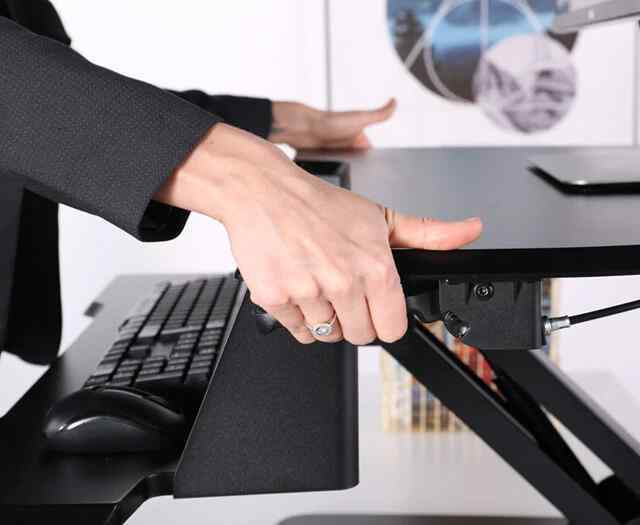 Fit your mobile device into the provided groove plus a mouse, keyboard and other small items on your super-sized keyboard area. There is a rear panel to prevent any of your gear from getting away from you. 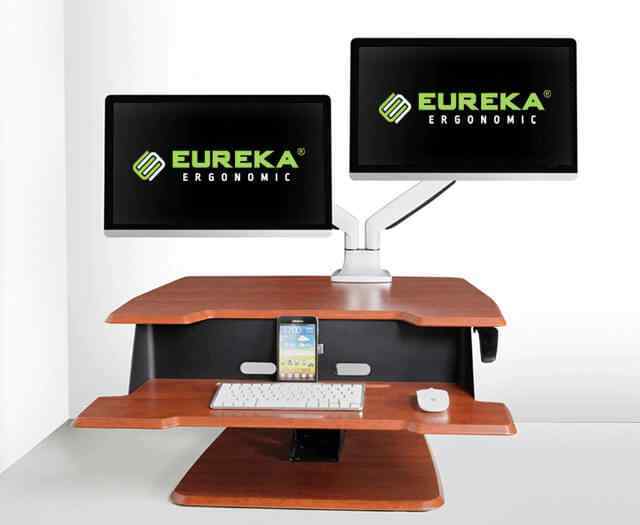 Use one of our signal monitor arms or our popular dual monitor arms to maximize your work-space. Never again wonder if you will have enough space to work. Start standing while you work today.